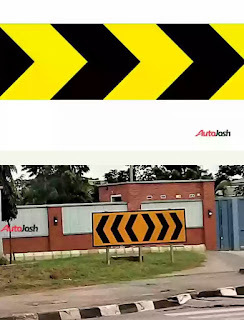 Road traffic signs serve several purposes: some road signs are placed on roads to point out directions to motorists; some are placed there to ensure the safety of motorists and pedestrians; some are there to give us an idea of what to expect ahead of us, etc. 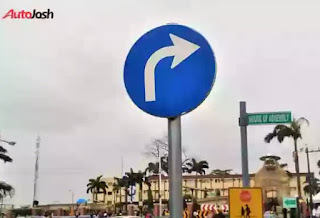 This sign is one of the most confusing road signs that motorists come across in Nigeria. 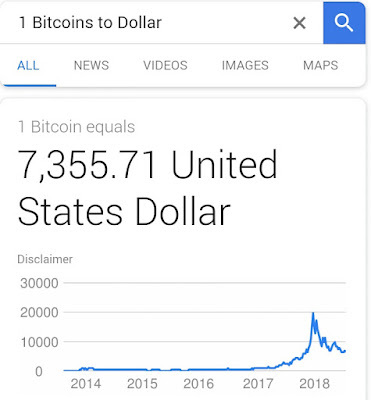 However, it is better understood when represented in its pictorial form. It actually means, “Pedestrian crossing”. 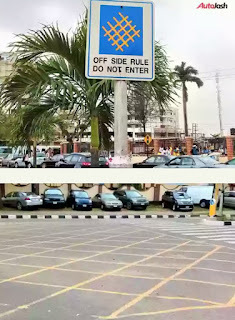 This sign is often placed ahead of or near zebra crossings. 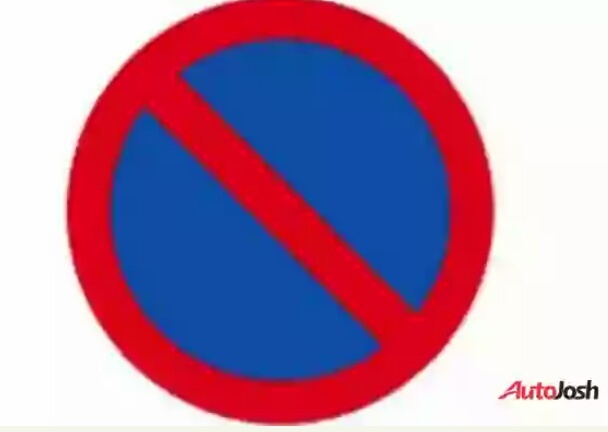 This signs is used to indicate that there is no entry for vehicular traffic. 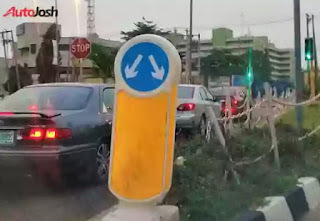 It is placed at the exit of some roads to inform motorist that they cannot drive into that road. 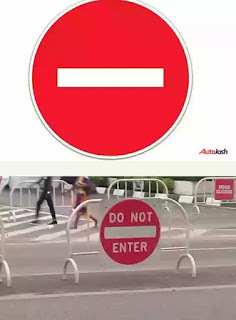 It is often used at intersections to roads with one-way traffic. A ‘No Stopping’ sign instructs motorists to keep moving and must not stop at any time, not for a minute, not for a second, not for a jiffy, on the road or in an area to which the ‘No Stopping’ sign applies. Just like the “No Stopping” sign, this sign is placed along roads or streets to instruct drivers to keep driving or keep their vehicles in motion and not to stop. 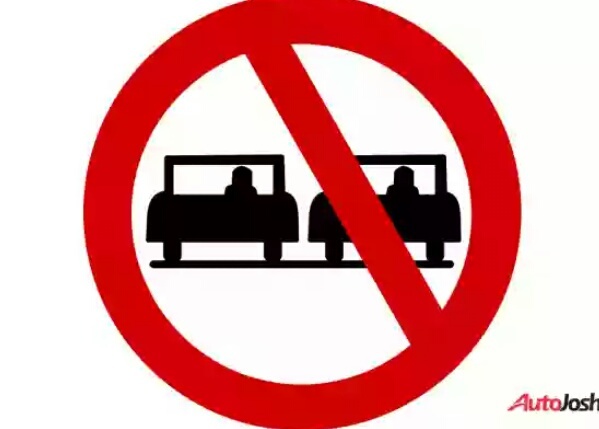 The difference is that, this signs allows a motorist to stop – to drop off or pick up a passenger, etc. 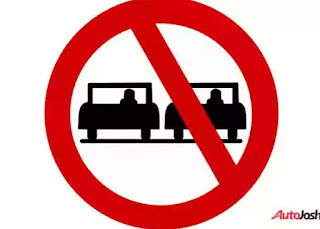 Staying longer than necessary can be viewed as “waiting” or violation of the No Waiting instruction. This sign is placed at intersections where there are traffic lights. 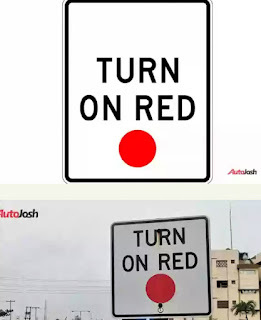 This sign generally permits vehicles to make a right turn even when the traffic light is on red. 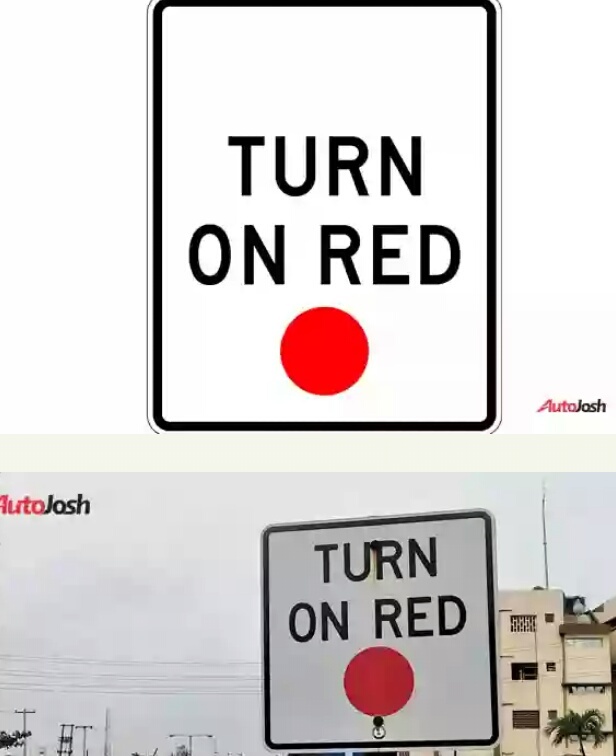 In other words, this sign gives permission to vehicles to turn into the next junction on the right nearer to them, even when the traffic light is showing a red signal and without having to wait for a green signal. 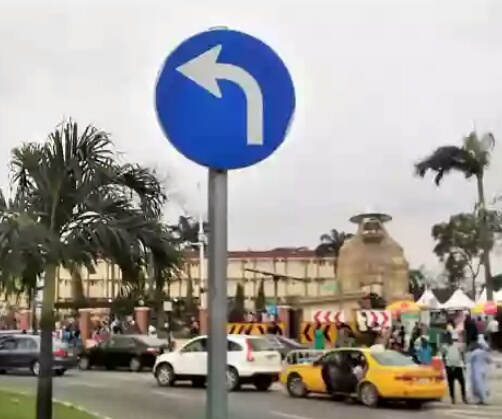 The chevron sign is positioned to warn motorists of a suden change in traffic direction. That is, they are positioned at places where traffic makes a sudden change in its course or direction , such as bends in the road or at round about. 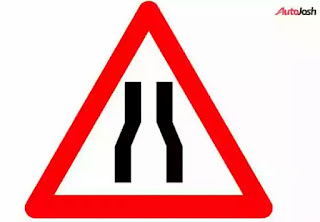 The chevron pattern pointing in the direction that traffic has to turn. 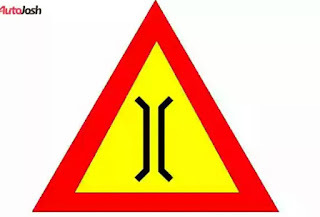 This sign is typically placed on two-way roads that are too narrow or are too risky for vehicles to attempt to overtake vehicles ahead of them. They are also placed at bends, dips in the road or where there are trees. 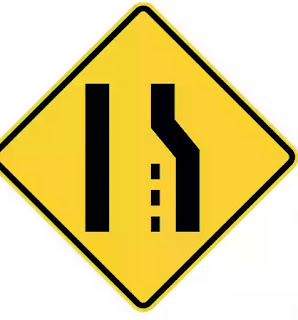 This signs warns motorist that the lane that they are on narrows as they drive ahead. And such narrow end merges with a parallel lane to the left. 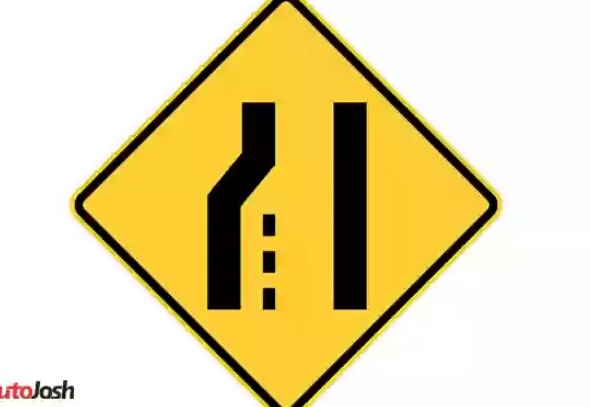 This signs warns motorist that the lane that they are on narrows as the y drive ahead or as it ends. And such narrow end merges with a parallel lane to the right. 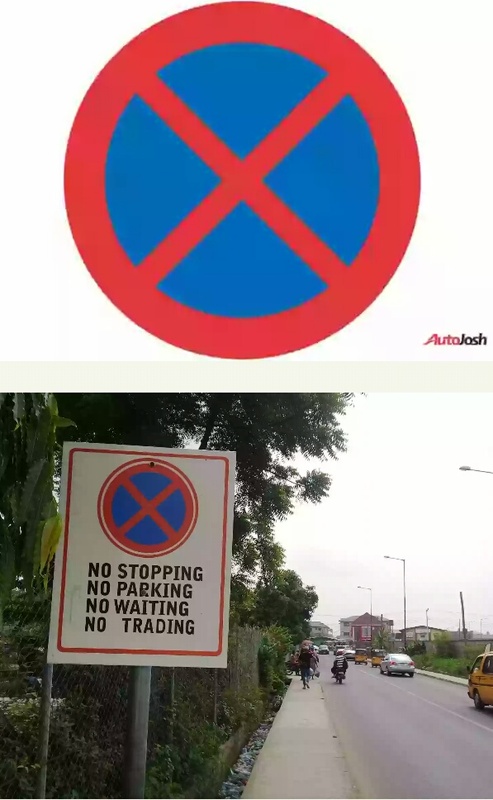 This sign is placed ahead of a location where there is a narrow bridge. This sign is intended to get motorists to reduce their speed and drive cautiously as they approach the bridge. 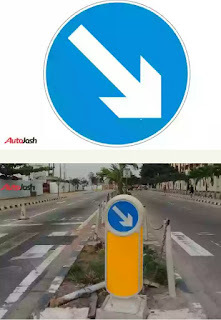 This sign instructs motorists to keep to the right side of a two-way road. Driving into the left side of the road is a violation of this traffic instruction. 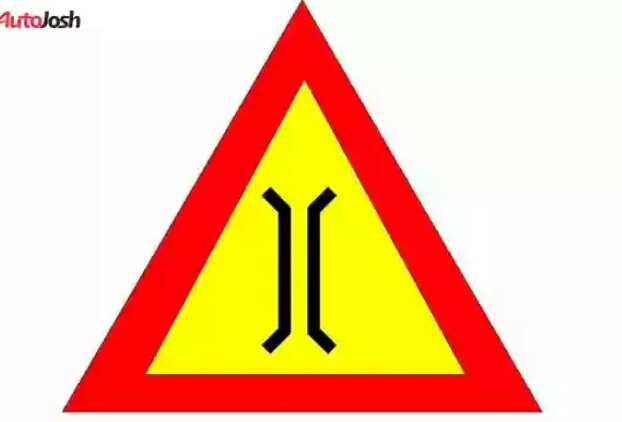 This sign instructs motorists to keep to the left side of a two-way road. Driving into the right side of the road is a violation of this traffic instruction. This signs warns motorists that the road ahead is about to turn sharply in the direction of the arrow, in this case, to the right. 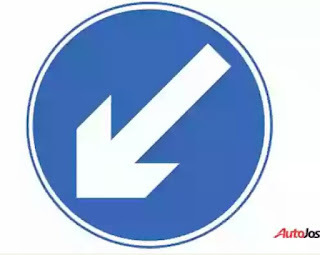 This signs warns motorists that the road ahead is about to turn sharply in the direction of the arrow, in this case, to the left. The sign informs motorists that they can pass either side of a diving road to reach the same destination or different directions. 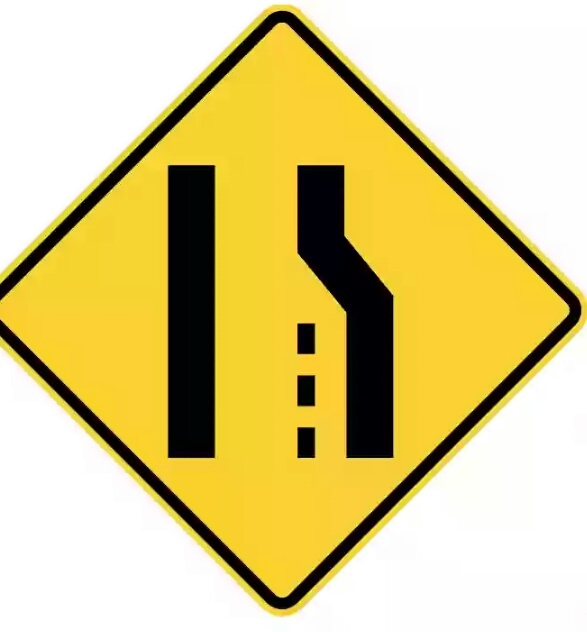 This sign is usually placed at intersections where there is a traffic light. 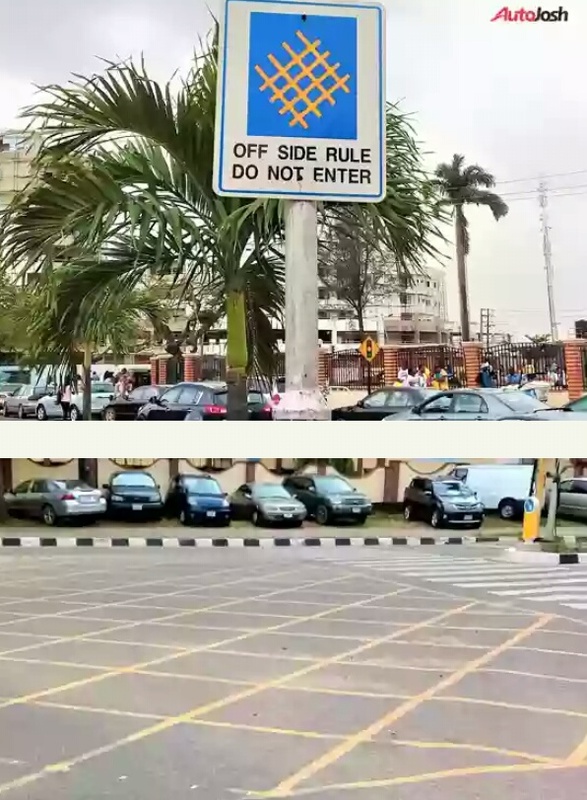 It warns motorists that have been halted by the traffic light not to drive into a pattern of lines drawn on the ground ahead of the traffic light. This philosophy was borrowed from the “offside” rule in Soccer. This sign informs motorists that as they drive on the road, the road narrows ahead of them. 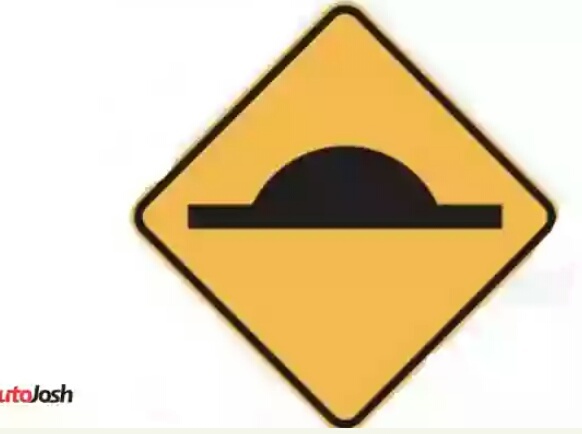 This sign is used to warn motorists that there is a bump ahead or an uneven road surface on the road. This warning is intended to get motorists to reduce their speeds at certain points.